New Look H4400 & H2200 Multi Gyms! 4 Stations in only 68 square feet. 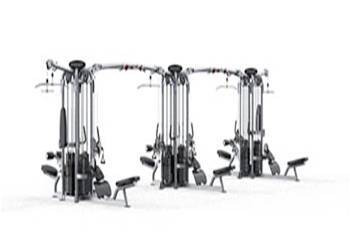 Compact 2-stack gym provides an uncompromised range of exercises commonly found in health clubs. Space saving “L” shaped design fits easily into a corner and efficiently accommodates 2 users. Two Strap Handles with 3 length choice rings. :: Interchangeable press arm options allow you to pick the one that’s right for you! 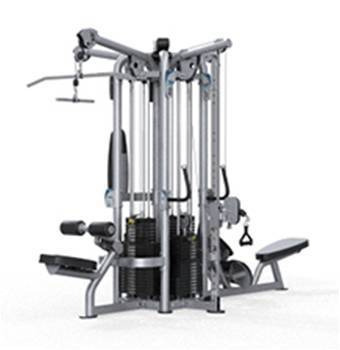 Choose between the traditional fixed press arm with patented range of motion or the patented 3-D articulating press arm. 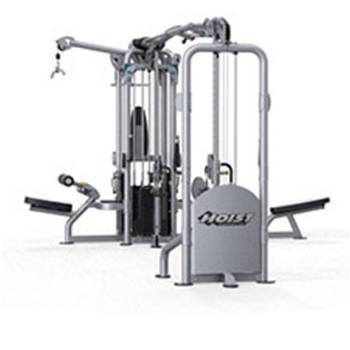 :: Low and mid pulley stations allow you to perform a variety of upper and lower body exercises. :: Locking pull pin provides stable pad positioning. 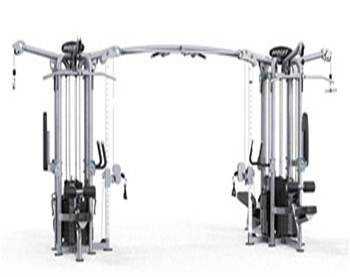 The NEW HOIST Commercial Multi Jungle System can be configured to meet both the needs of your facility and the fitness requirements of your members. 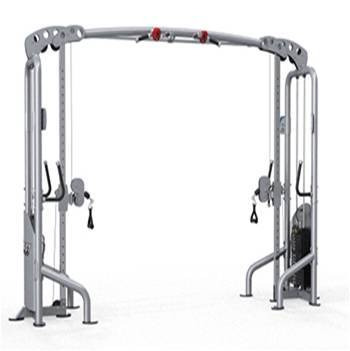 Expand the jungle from the standard (4) station pod to a (9) station or (14) station with the additions of the Crossover Pull-up Bar (CMJ-OPT-01). 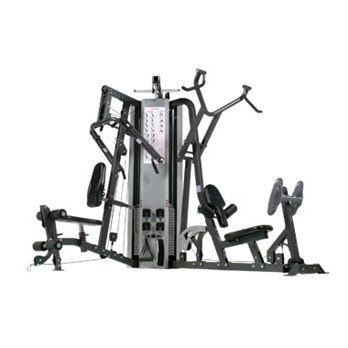 The Jungle System keeps users interested by offering the ability to work their entire body and the flexibility to define their own exercises. 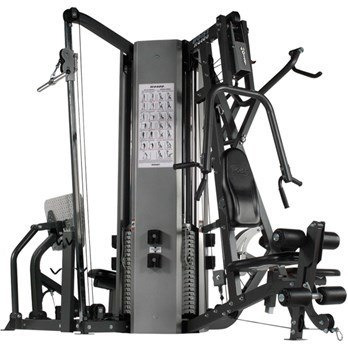 Unique one-handed Hi-Lo Station adjuster Angled, neutral, rock climbing and extra wide straight gripping options allow for exciting exercise variation. Stabilizing hand grips on both sides of pulley. Ankle strap and strap handles included.